Largest place in the Azores and capital of São Miguel since 1522, Ponta Delgada is a flat town that stretches along a bay on the island´s south coast. Boasting many impressive churches, convents and majestic white houses, visitors are constantly reminded of its wealthy and illustrious past, when the port was a crucial staging post between Europe and the New World during the Age of Discovery in the 15th and 16th centuries. Ponta Delgada is a good base from which to make day tours of the volcanic crater lakes and thermal springs in the centre of the island. A short drive north-west of the city is the spectacular setting of Caldeira das Sete Cidades, an extinct volcano which holds two adjoining lakes, one emerald-green and the other sapphire-blue. - Departure from the Hotel at 9.30 AM or 2:30 PM to Ribeira Grande, the second city of S. Miguel located in the North coast of the island. - Visit the main monuments such as the Nossa Senhora da Estrela church* (* Closed on week-ends) and the Ethnographic Museum. - The tour continues following the northern route to Pico da Barrosa with a stop to view Lagoa do Fogo, a lake located in the bottom of an extinct volcano with white sand beaches and very clear waters. This lake is part of a Nature Reserve. 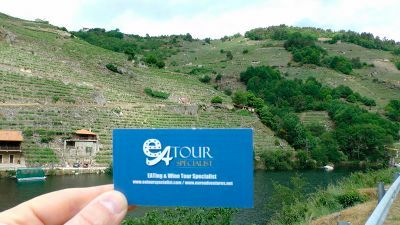 - The tour will then continue down the mountain range towards Lagoa on the South coast. On the route you will be able to see both the northern and southern coasts as well as the Sete Cidades mountain range. - There will be one more stop in Lagoa to visit the Fábrica de Cerâmica where handicraft ceramics are made. - Return to the Hotel at 12:30 PM or 5.30 PM.